Via Press Release: Earvin "Magic" Johnson, Chairman and Founder of the Magic Johnson Foundation (MJF) will kickoff the Foundation's annual Taylor Michaels Scholarship Program Life Skills Leadership Conference in Los Angeles this weekend with a keynote address to the 150 deserving scholarship students attending. They come from all around the country anticipating the four-day program that promises to educate, entertain and empower. The Taylor Michaels Scholarship Program (TMSP) was implemented to subsidize education expenses for college bound students who show exemplary scholastic achievement but are stifled by their socio-economic condition. "We are extremely passionate about our students in the Program and their well being, and we work on a daily basis to provide them with the necessary tools for success," said Towalame Austin, President of the Magic Johnson Foundation. To date, the program has supported 300 students. In addition to providing financial support to scholarship recipients, the TMSP offers a mentoring and internship program that prepares each Scholar for the workplace and post graduation. With this year's theme, "Your Blueprint for Success," the Foundation continues on with their tradition to prepare Scholars for academic success, career paths and life in general. 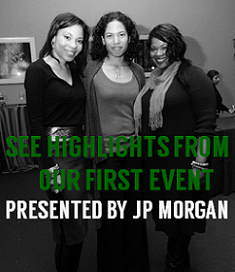 During the highly-anticipated four days, the Foundation will host a series of seminars. On Friday, July 10th, the Scholars will be a part of a Financial Park simulation to better assist them with budgeting while preparing them to enter into the "real" world. On Saturday, July 11th, they will participate in a Brother 2 Brother/Sister 2 Sister workshop, which will offer an open forum for them to candidly talk about personal life issues and the challenges they face as young men and women. The Foundation will also partner with UCLA's Make Art/Stop AIDS program as an encouragement for students to learn more about the disease through the arts. MJF has tested over 30,000 people through their "I Stand With Magic" Campaign (a partnership with Abbott) to end Black HIV/AIDS. On Sunday, July 12th, the Magic Johnson Foundation will host the Scholar Recognition Brunch. The brunch will celebrate the Taylor Michaels Scholars 2009 graduating class and recognize their significant achievements, along with welcoming 20 new students to the program. The four days will conclude on Monday, July 13th with a Life Post College seminar for graduating seniors during the day and a Sponsor Reception in the evening to thank all the corporate sponsors who made the Conference possible this year through their commitment to support the mission of the Magic Johnson Foundation. Those sponsors include: FedEx, Dell, Best Buy, American Airlines, Mercedes Benz and Global Consumer Innovation. About the Magic Johnson Foundation: The Magic Johnson Foundation, a 501(c)3 organization, was established in 1991 to raise funds for community-based organizations focused on HIV/AIDS education and prevention. 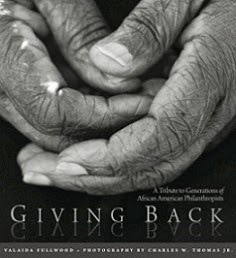 The Foundation has since expanded its mission to develop programs and services that address the broader educational, health and social needs of ethnically diverse, urban communities throughout the nation. 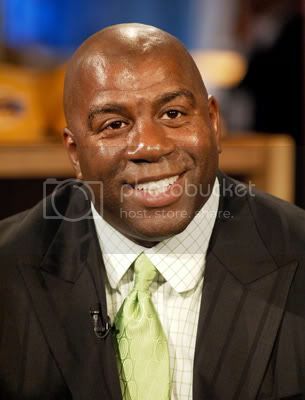 For more information, log onto www.magicjohnson.org.